Cencorp´s laser and automation applications are based on product platforms tailored to customers´needs, making use of modularity to shorten delivery times. The applications allow customers to increase their production volume, improve quality and achieve significant cost savings. The goal of Cencorp’s life cycle management is to improve cost efficiency in customers’ operations. 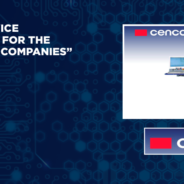 Cencorp’s customer service and maintenance team help the customer to use its existing equipment and production capacity in the most efficient way, to avoid production failures and, when needed, to modernize and retrofit existing equipment based on the customer’s changing needs. In the field of cleantech solutions Cencorp is developing efficient and cost-effective photovoltaic modules. Cencorp is taking advantage of its extensive automation expertise in the development of automated production for solar modules. Fully automated production line designed by Cencorp enables profitable module production regardless of labor costs, close to the final installation site.